Five Regional Districts representing 75% of BC’s population are partners in the Georgia Basin Inter-Regional Educational Initiative (IREI). A program deliverable is Beyond the Guidebook 2015, released in November 2015. 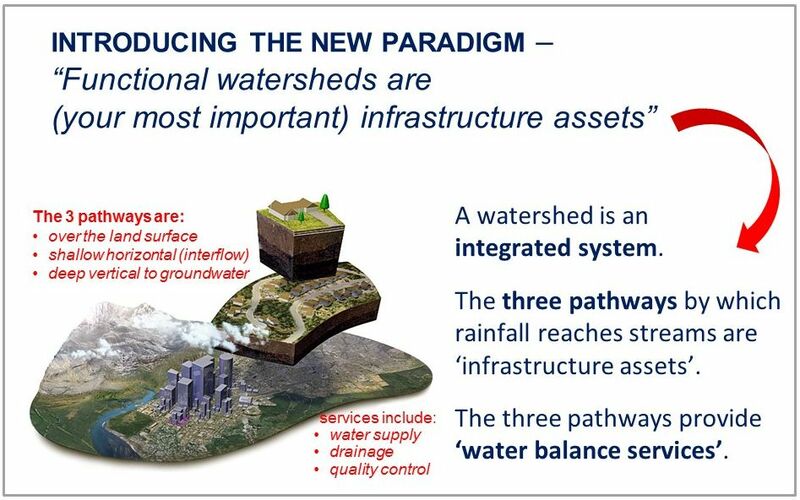 This guidance document is the third in a series, celebrates work by local government champions, and previews the program for integrating the water balance services provided by soil, water and trees into asset management. Initial rollout of Beyond the Guidebook 2015 included introductory presentations by Kim Stephens (editor and principal author) to regional elected representatives in four regional districts, concluding with the Cowichan Valley Regional District, throughout the month of November 2015. 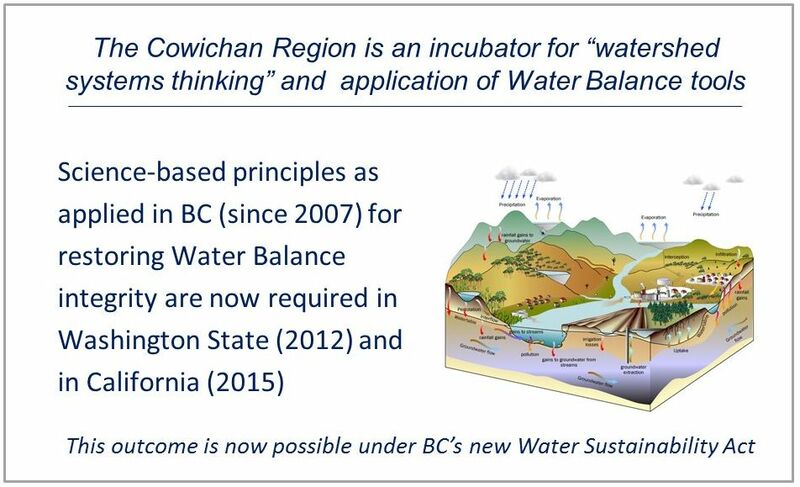 Kim Stephens is the Executive Director, Partnership for Water Sustainability in British Columbia. “The reason I am here is to provide you with a progress report on inter-regional collaboration. 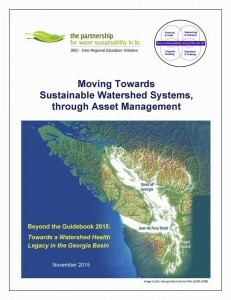 The Cowichan Valley is a partner in a team approach to the Georgia Basin Inter-Regional Education Initiative. In conjunction with the rollout of Beyond the Guidebook 2015, I am meeting with all the regional districts,” stated Kim Stephens in his opening remarks to the Cowichan Valley Regional Services Committee, the membership of which comprises the entire Regional Board. D ownload a PDF copy of the PowerPoint storyline for the presentation by Kim Stephens: Beyond the Guidebook 2015: Moving Towards “Sustainable Watershed Systems, through Asset Management”. The Cowichan Valley chapter in Beyond the Guidebook 2015 is 14 pages and is organized in six sections. Download a PDF copy of Convening for Action in Cowichan Region and read the complete story. Download a copy of the entire 158-page document: Beyond the Guidebook 2015.